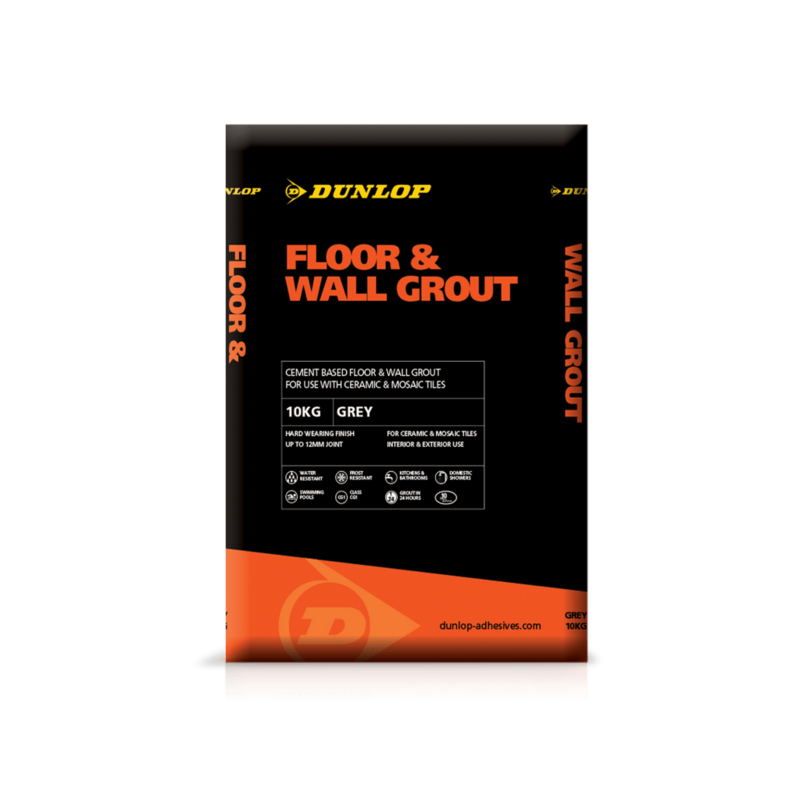 DUNLOP FLOOR & WALL GROUT is a mix-with-water powder grout suitable for both interior and exterior use. When used with DUNLOP FLEXIBLE ADDITIVE it can be used with porcelain tiles and used for power showers, swimming pools, heavily trafficked floors and areas with limited movement/deflection e.g. heated screeds and suitably constructed timber floors. Available in three shades, it can be used in ceramic and natural stone wall and floor tile joints between 2-12mm wide.